Getting Productive in January, 2013. With Apps. New Year, new clean slate. New resolutions, new start, or restart, or reboot, as it were. 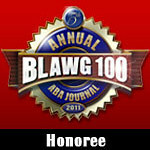 With smart mobile devices, it is easier than ever to organize, prioritize and accomplish goals. 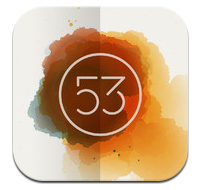 Seems now is a good time to highlight some of my favorite mobile apps to help you on your way. Some of these have been mentioned here before, some are new. I am pretty sure you will find something in the list to meet a need or two. First off, I can think of no more effective and efficient way to parse the content flowing through Twitter, Facebook and Google+ than with Prismatic. 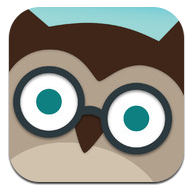 This great iOS app reorganizes your Twitter feed to promote the content that is of the greatest interest to you. Enough of the Foursquare checkins and cat pictures. Prismatic will send along content from your tried and true sources, as well as offer up new sources of material to pique your interest. The UI is beautifully designed and gesture-based controls make a lot of sense – I find it very easy to use and effective for slicing through a lot of material very quickly. For those who have resolved to wade through their news sources more effectively and efficiently, Prismatic is the tool of choice. If you are on Android or iOS, and you want to get as close to that Microsoft Office experience as possible, look no farther than CloudOn. Another previous feature here in the Studio, CloudOn not only gives you a meaty Office experience, it links you to Box, DropBox, Google Drive and SkyDrive to keep your mobile device at a decent fighting weight. It also features built in Adobe Reader and File Viewer tools. 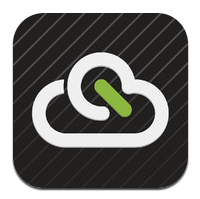 With the mainstays of Word, Excel and Powerpoint, most of your Office needs can be met with CloudOn on the go. Create and share and track your changes easily with the FileSpace feature. 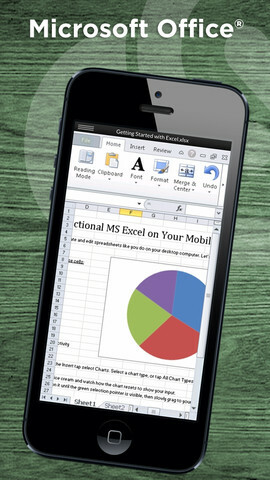 For those who have resolved to get more document drafting and editing work done while mobile, CloudOn is your best bet. Let’s face it, the iOS Mail app, even with iOS 6 tweaks, still leaves something to be desired. 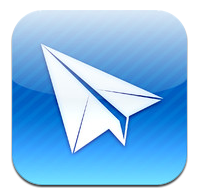 If you are left wanting more in your mobile email client, check out Sparrow. If you can live without Push notifications (and really, can’t we all?) there really is a lot in this package. Pull all your emails, IMAP and POP, into a unified inbox and directly attach photos & images when composing without having to move between apps. Easily navigate with up and down swiping in a threaded conversation, and swipe once to uncover your mailboxes, labels and folders or swipe again to get to your account list. 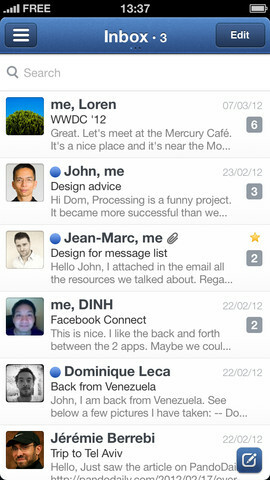 Mail will show profile images, and swipe to star, add labels, archive or delete. Smart contacts keep your most frequent contacts on top of the list. Enable send and archive to quickly unload your inbox and use a built-in web browser to navigate the web within Sparrow. Tapping and swiping moves you quickly between mailboxes and you can single click to mark all as read. Pull to refresh and leverage Priority inbox support. You can also use email Aliases. Search gets you local mail as well as remote mail on the server. Very nice indeed. And there is more. For those who have resolved to get on top of taming their email inbox, Sparrow has got you covered. 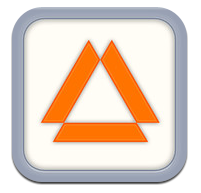 Free, with in-app purchase for more tools. Are you embarrassed by your attempts to render a picture? Would you like to be able to sketch your ideas and show them to others without your audience looking at your art with sympathy? 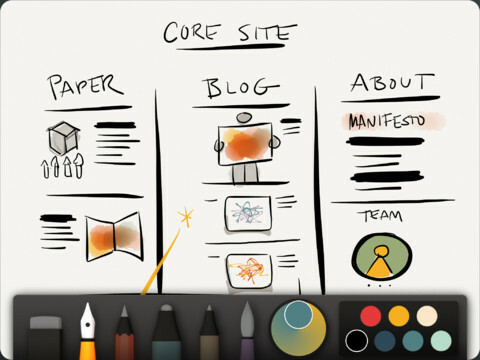 If you have an iPad and want to be able to present your visual ideas easily and smartly, check out this iPad drawing app. It truly makes anyone’s scribbles look compelling and polished. Paper doesn’t overwhelm with an overly complicated interface and too many tools. There are just enough variables and options to keep your work interesting, but not so many that you will struggle with what to toggle next. Paper also employs some smart algorithmic magic behind the scenes to help your work look its best, with its expressive ink engine. 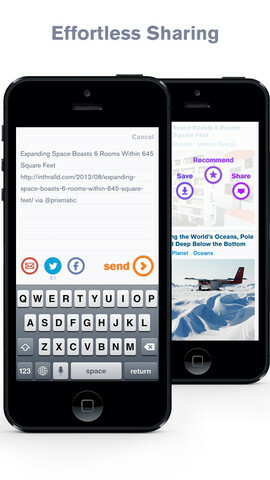 Easily share what you have done via email, or on Tumblr, Facebook or Twitter. For those who have resolved to get more in touch with their right brain, Paper may offer the edge you need. How many times you have been browsing the Web, stumbled on something pretty cool or interesting or on-point, but had insufficient time to fully digest it or use it for your intended purpose and later lost access to it? 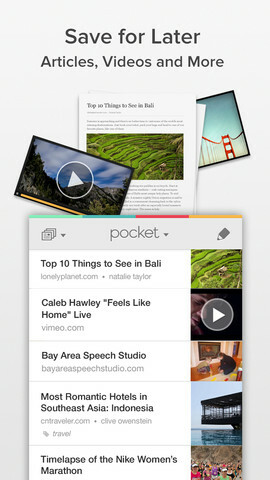 You may not have heard of Pocket, but you might be familiar with the by its previous name – ReadItLater. 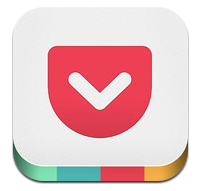 Pocket is a shinier version of the Web notebook/bookmarking tool for Android and iOS, with visually appealing thumbnails of your saved media, and the compelling ability to save and then access the content across devices, even without an internet connection. Save stuff to your Pocket when your online and then read or view to your heart’s content while flying or out of internet range. Saves from your browser as well as from some of the finest content curation tools and apps, like Twitter, Zite, Flipboard and Pulse. 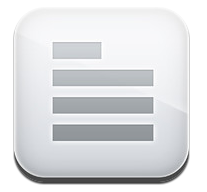 Share the stuff you really want to keep from Pocket into Evernote, another Studio favorite tool. For those that have resolved to more effectively save, read and organize their content even without an internet connection, Pocket is the way to go. With all that news out there on the web, wouldn’t it be nice if someone or something could simply pick the best stuff for you, the stuff that is most interesting, and give it to you in an easy to read layout with simple sharing tools? Wouldn’t it be great if your news curation assistant got smarter every time the two of you interacted? 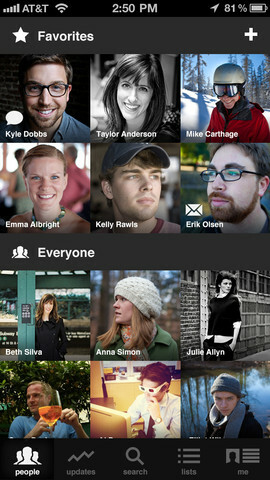 This is possible with another Studio feature, Zite. Zite initially was iOS only, but is now available on Android and Windows Phone 7 too and I find myself turning to it first when I don’t have a great deal of time to read and really only want to get the most important highlights on my most favorite news topics. And, like Prismatic, Zite will throw your some curveballs with new sources or topics that may be of interest based on your interests, so it never gets stale. 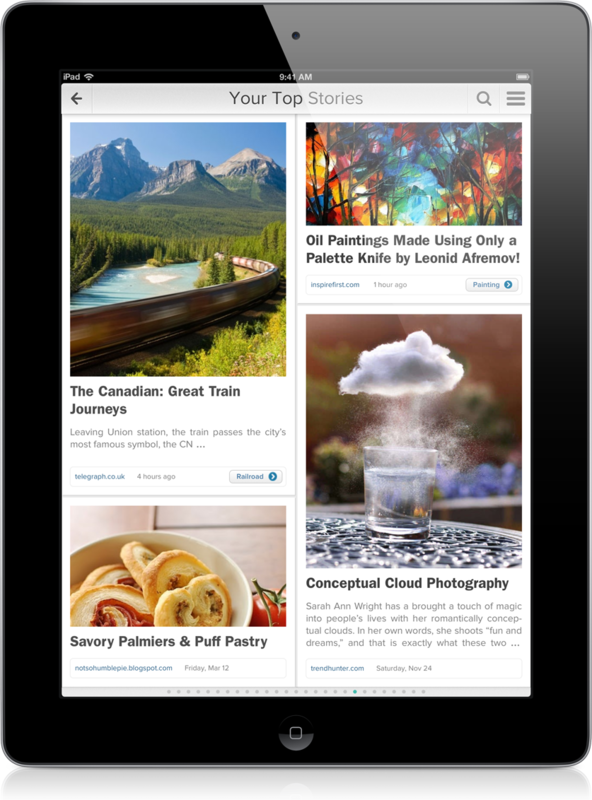 For those looking to get the best, on-point news quickly and effortlessly, Zite is the go-to source. While I have absolutely nothing against Dropbox, when I think free, agile and generous online file storage, I think Google Drive. Introduced this year to great anticipation and fanfare, Drive offers mobile solutions to tap into the Google cloud, edit and share your content and easily free up space on your mobile for more important things, like family pictures. Drive is a no-brainer on Android, but even the iOS app shines with features. Offline access and easy uploads make the process of moving content around painless and fast. And now, with the interaction of Gmail and Drive, you can send 10GB files out of your Drive and that is impressive by anyone’s standards. 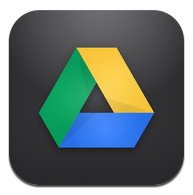 For those looking to maximize content management and local space, Google Drive is my favorite solution. Struggling with social fatigue because your contacts are spread out across mobile and desktop address books and social media outlets? Feeling like it is nearly impossible to reach out and touch someone, especially someone whose contact information you can’t easily find because you can’t remember where its stored? 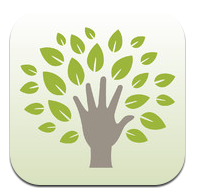 Brewster for iOS is a contact management app that combines all of your address sources into a single “book” on your device, matches pictures to contact information and even organizes those contacts intelligently so you can quickly access your closest contacts and view interactions. 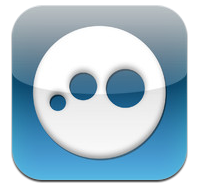 Easily search contacts or create your own lists. Quickly view contacts using images and tiles rather than text heavy alphabetical entries. For those resolving to stay in better contact with their numerous contacts, Brewster hits it out of the park. Feeling your brain leaking out all that valuable information you crammed in back in high school and college? Missing Stats or wishing you had a better grasp on chemistry? 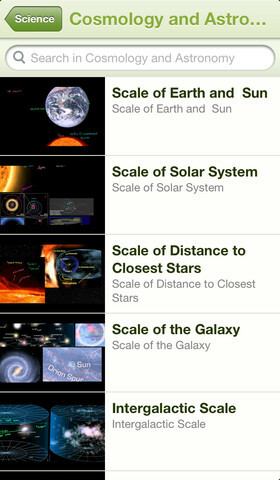 If you need a refresher or would like to get a decent overview in a subject, then you might want to check out Khan Academy’s more than 3,500 free video tutorials. Get them on the go on your iOS device and download them for offline watching on the iPad. View subtitles, and track your viewing progress with “credits” in the Academy. Khan covers a massive number of different topics, and you can too when you have some time between obligations and happen to have your iDevice handy. For those resolving to exercise their brains and broaden their educational horizons, enroll in the Khan Academy with their mobile app. If you are out and suddenly find a need to access your home or office computer, what do you do? You hope you have downloaded to your computer and device the able LogMeIn app that will allow you to remotely access and control your desktop computer. The free iOS app offers remote control of PCs and Macs over WiFi and 3G and can connect to as many computers as you like. 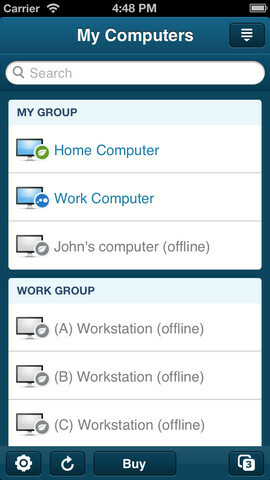 Access your home and work computers on the go and get to files on your computer and edit them on your mobile device. Remotely run any application on your computer from your iPhone or iPad. Even fix computer problems remotely. If you pay the subscription for Pro features, get HD video and sound streaming from any device or Pro enabled computer, use their My Cloud Bank integration to link the LogMeIn app with various cloud services, transfer files and folders between computers and save them to your device with File Manager, remotely print to any AirPrint compatible printer and use the Photo App management feature to access and transfer photos from or to your iPad and iPhone photo libraries. All the benefits of your desktop in your pocket and without the bulk. For those resolving not to forget to run their important desktop tasks, LogMeIn is a great way to go. 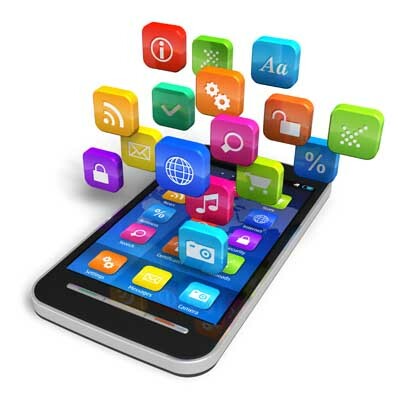 I could really go on and on with these great apps – I have found lots of them over the course of the past five years of using mobile devices. But this should be a pretty decent start on the road to a more productive 2013. Happy New Year!